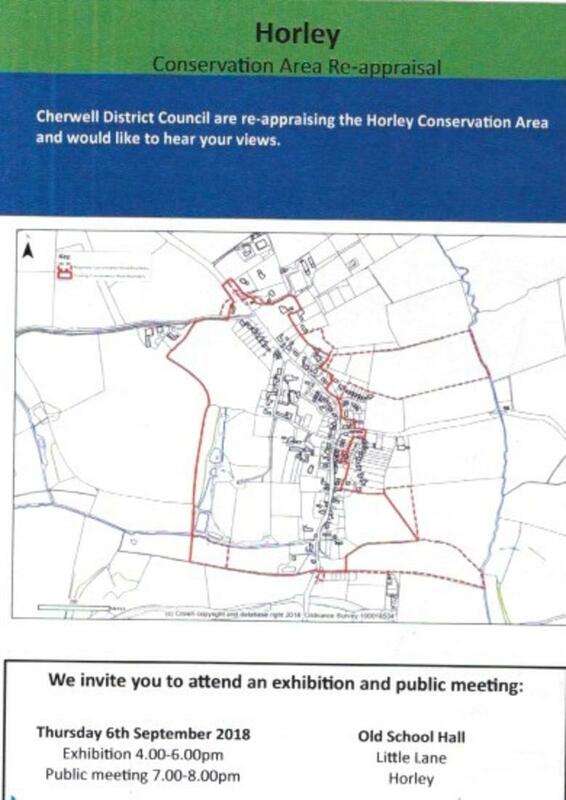 Cherwell DC are undertaking a review of the Horley conservation area appraisal. There will be a public exhibition which is likely to be of interest to all residents at The Old School on Thursday 6 September between 4pm and 6pm, followed by a public meeting between 7pm and 8pm to discuss the appraisal and seek feedback. From 6 September the appraisal will also be available on line here. Alternatively the document will be available in hard copy format at Bodicote House and at Banbury and Woodgreen libraries. The public consultation period on the draft appraisal will run from 6 September until 8 October. 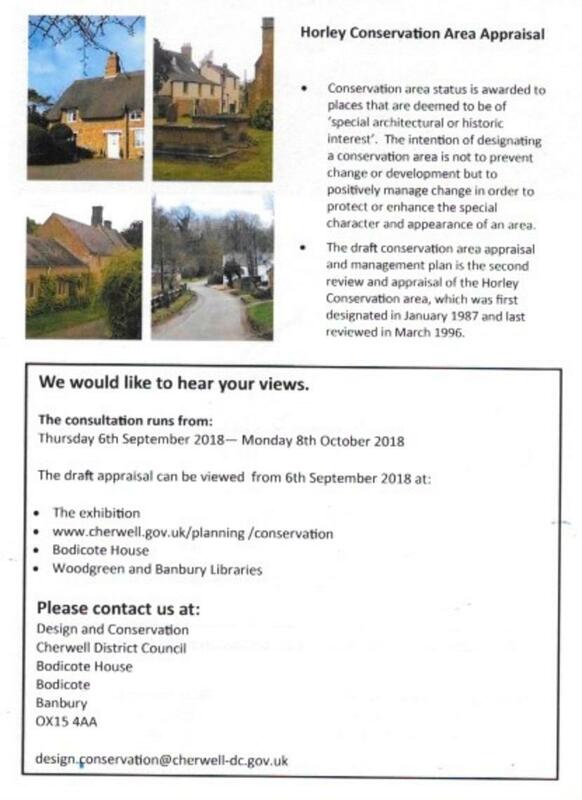 This entry was posted in Posts by Parish Council and tagged Cherwell District Council, conservation area appraisal, Public Meeting on September 2, 2018 by thehorleyviews.